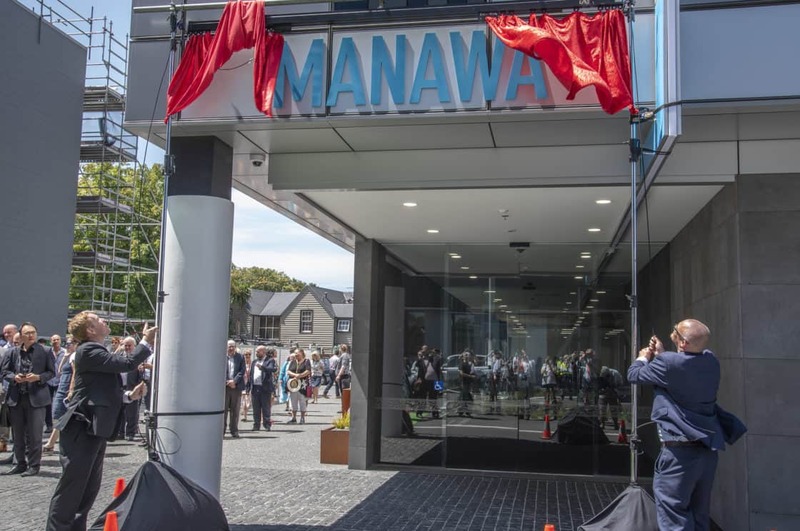 Minister of Health Dr David Clark and Minister of Education Chris Hipkins jointly opened Manawa health research and education facility, in Te Papa Hauora |The Christchurch Health Precinct today. Dr Clark also officially opened the adjacent Christchurch Outpatients building. The vision for a world class Health Precinct next to Christchurch Hospital emerged in the Blueprint for the City, following the 2011 earthquakes. Manawa is a flagship facility of this precinct – a creative and inspiring hub that integrates world-class healthcare, research and innovation, education and industry.